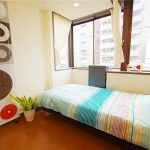 My selection of the best share houses and social residences in the Ikebukuro district. Find a room in close proximity to the busiest train stations in North Tokyo. Ikebukuro is the most popular neighbourhood of the Toshima ward of Tokyo. The neighborhood is organized around the station of the same name which is one of the main places of passage for the people who live in Saitama prefecture and who come to work in Tokyo. This strong affluence makes it one of the busiest districts of North Tokyo. You will find many restaurants, bars and shopping malls. The Yamanote line can bring you to Takadanobaba, Shinjuku or Shibuya in a few minutes. It is also one of the favorite places of foreigners who come to settle in the Japanese capital. For this reason, there are many foreign social residences in Ikebukuro. Most of them are quite old, so if you are looking for a brand new apartment in Tokyo, I would rather book rooms in other parts of Tokyo. If this does not scare you, I advice you to look at my selection of share houses below! 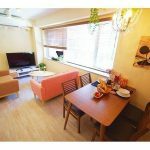 Where are the best share houses of Ikebukuro? 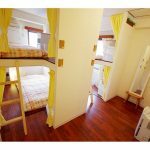 Price: Compartment from 44000 yen per month, Shared rooms from 46000 yen per month, Single rooms from 55000 yen per month. Description: A five-floor building, the fourth level is reserved for women. The common areas are on an entire floor. There is also a rooftop terrace from where you can enjoy a view on the Toshima ward. 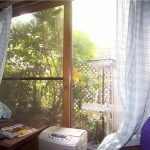 Prices: Semi-private rooms from 57000 yen per month. 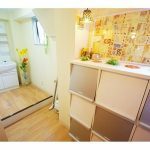 Description: Share house for women with semi-private room in the lively area of Ikebukuro. The living room have an excellent exposure. The residence is well located since it is close to one of the most crowded stations of Tokyo. 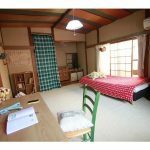 Prices: Single rooms from 59,000 yen per month. 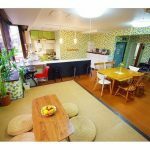 Description: Old residence only 2 minutes walk from Kitaikebukuro station and 15 minutes walk from Ikebukuro. 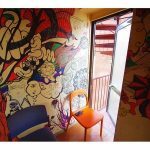 The share house is reserved for women and is located in a residential and quiet area.